The Generac Protector Series 22-60kW Standby Generator is one of the best automatic backup power machines for huge homes and areas, essential appliances, and up-to-date technologies. Equipped with a True Power Technology, this standby generator generates top-class performance with less than 5% total harmonic distortion. It also comes with the Quiet-Test feature that self-tests at a more silent speed that can be set to run weekly, bi-weekly or monthly. This Generac Protector Series generator features the Mobile Link cellular monitoring system which allows homeowners to monitor the generator status anytime, anywhere. It uses a Generac engine that displaces up to 5.4 liters at a high-speed of 3,600 rotations per minute (RPM). Using natural gas and propane vapor as fuel, this liquid-cooled generator also consists of a belt-driven engine cooling system with a ±1% voltage regulation. It also includes an isochronous electronic governor, sound attenuated enclosure, and a closed coolant recovery system to deliver the best and safe performance. 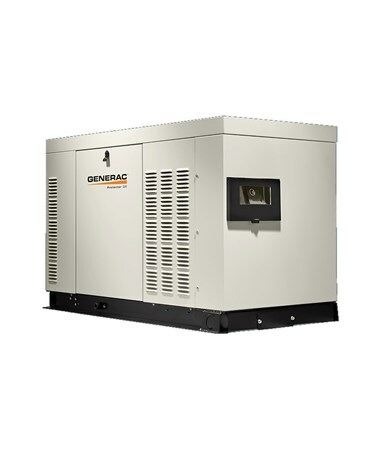 To easily view generator status, the Generac 22-60kW liquid-cooled generator comes with an evolution controller that features a multilingual, two-line LCD display with backlit membrane pad-style color-coded buttons. It is housed in a robust All-Aluminum enclosure with RhinoCoat powder finish which is perfect for all weather conditions. As an additional feature, it includes additional upgrades such as USB capability, smart battery charging, and voltage adjustment. Plus, it can be installed 18 inches away from the home or building which is great for small areas. Please Note: The RG03624A, RG04524AX, RG06024A, RG03224, RG03824, and the RG04854 generators are not for sale in California and Massachusetts. Also, the 25-45kW high-speed units are field convertible between natural gas or liquid propane. While the 60kW generators are built per fuel requirement and are not convertible. 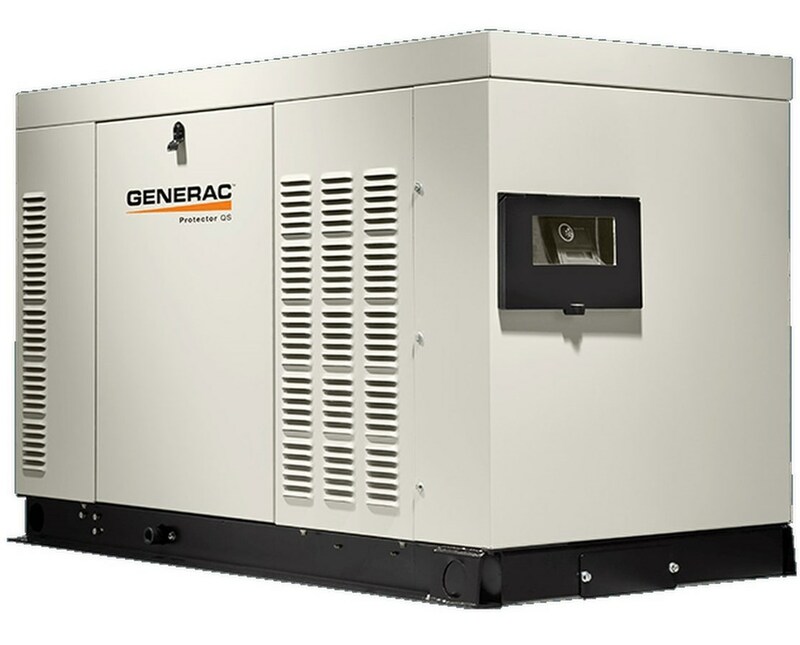 The Generac Protector Series 22-60kW Standby Generator has 12 available models that offer varying wattages, speed and SCAQMD compliance option. All are supported by a five-year limited warranty. Please choose from the menu above. CARB. The California Air Resource Board deals with environmental protection specifically preventing air pollution. Powermate generators with this certification are in compliance with the standards that prevent emissions that are harmful to the ecosystem.